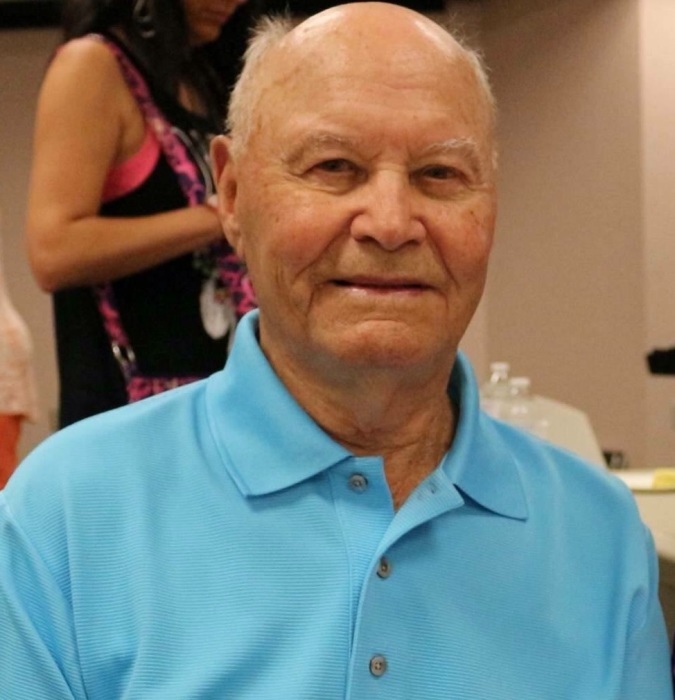 Therman Harold Morris, 92, of Springfield, passed away on Monday, February 11, 2019 at his home with his family by his side. Therman was born April 15, 1926 in Rector, AR, the son of Lewis Morris and Grace Easton Morris-Rogers. He celebrated seventy-three years of marriage with Betty Jean (Gregory) Morris. He is survived by his children, Dennis (Becky) of Decatur, Danny (Judy) of Sanford, NC, Kenny (Nancy) of Rochester, Michael (Sue) of Monticello, and Jill Carr Ballard (Darren) of Taswell, IN; many grandchildren, great-grandchildren and other relatives and friends. Therman was born and raised in Arkansas and spent his early married years farming in the boot heel of Missouri. He moved his young family to Illinois in 1951 and put down deep roots in Moweaqua where he helped establish the General Baptist Church and served many years as deacon and lay minister. In his fifties he became an ordained minister and pastor of the General Baptist Mission Church in Champaign. In his spare time he became the lead-off hitter and base-runner for his senior citizens softball team. Upon retirement, Therman and Betty returned to Arkansas to spend some fun years with family and friends. Most days Therman could be found golfing with his buddies and most nights they could be found on Cherokee lake drowning chicken livers. As their health began to wane, they moved to Springfield, where they could be close to their kids. He was preceded in death by his parents (stepfather, Willie Rogers and mother, Grace Morris Rogers); sisters, Lucille, Louise, Neva Bell, and Rose Zetta; brothers, Clyde, Logan, Frank (Odean), Herschel. D.M. (Buster), Donald, and Therman's twin brother Herman. Visitation will be from 4-7:00 p.m. on Friday, February 15, 2019 at Real Life Church, 2450 Taylor Ave., Springfield. Celebration of Life services will be at 10:00 a.m. on Saturday, February 16, 2019 at Real Life Church with friend and Pastor Clint Cook officiating. You must be prepared to share your favorite “Therman joke”. Burial will be in Locust Grove Cemetery, 2376 E. 1300 North Rd. Assumption (East of Moweaqua) at 2:30 p.m.
Memorial contributions may be made to Real Life Church.